Manila is the capital of the Philippines but it isn’t just the center of government and commerce, it’s also home to much of the great architecture and culture of the country. Although many buildings in Manila were destroyed during World War II there has been a lot of restoration work carried out and there is plenty to see when you visit Manila today. One of the most famous aspects of the architecture of the city is its art deco theaters which were designed by artists such as Juan Nakpil and Pablo Antonio. Visit Manila and you can’t fail to notice the hustle and bustle of this lively city which certainly has plenty of personality. But if you ever want to escape the busy streets you can spend time in one of Manila’s beautiful parks, or stroll along the pedestrianized area that borders Manila Bay. 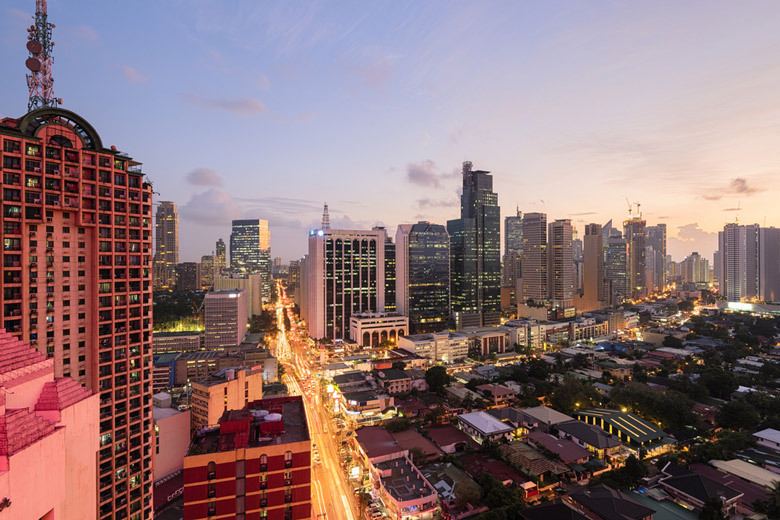 Although the area around present day Manila was inhabited prior to 1571 the city was only founded that year by Spanish Conquistadors who arrived from Mexico. The Philippines remained under Spanish rule for 300 years, before coming under the influence of the US. It was at this time that the main language of the country changed from Spanish to English. As you walk around Manila you can see examples of several different styles of architecture including American, Spanish, Chinese and Malay; it’s a fascinating melting pot of ideas. Aside from the art deco theaters we have already mentioned, Manila is also home to some impressive examples of neo-classical and beaux-arts architectural styles so when you visit Manila don’t forget to look around you, and pay attention to your surroundings; if you don’t you just might miss an architectural gem. Manila is a very tourist friendly city; more than one million people visit each year. 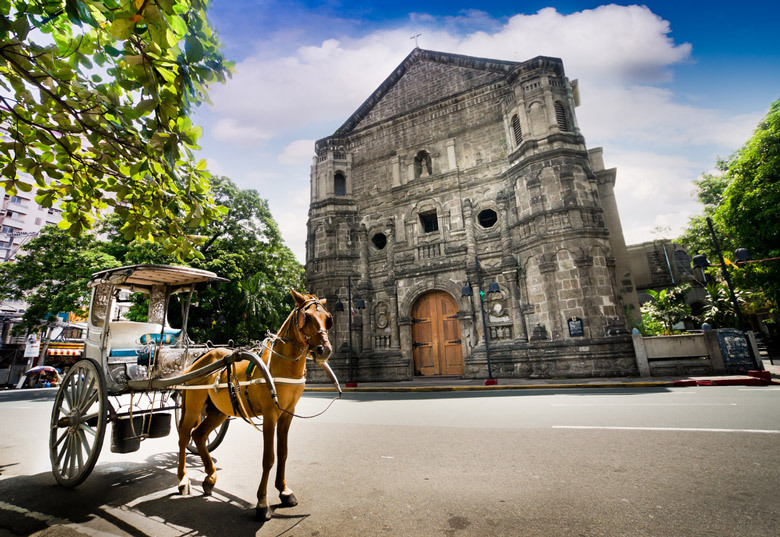 One of the biggest attractions is Intramuros which was the original walled city, created by the Spanish Conquistadors. There are plenty of sites to see in this part of the city, including Casa Manila which is a colonial building that perfectly replicates what living in the city was like for the wealthy Spanish inhabitants during colonial times. A visit to Manila isn’t just about the architecture though; you can also spend time relaxing, or people watching, in the green areas of the city, such as Rizal Park which is one of the largest urban parks in Asia. Night view of Makati, the business district of Metro Manila. Manila is commonly referred to as “The Pearl of the Orient” and it’s a really apt name, because you have to open the shell and peer inside to really appreciate the city’s true value. 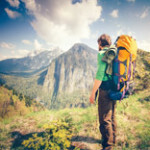 This is a place with a true vitality and a very creative soul. You will find many artisan markets, coffee shops and bars among the pulse of the traffic and the people. You will also find the very modern Manila with its clean and crisp architecture. This is a city with many different faces, all just waiting to be discovered by you. Manila has something to offer everyone who visits. It’s a place where you can enjoy simply walking around the streets and taking a look at the architecture, or spend time in one of the parks getting to know the local people. Immerse yourself in its history at the same time as enjoying the creative soul it has today. You can admire Manila Cathedral, take a break in a coffee shop and then hit the mall to find some bargains. Read on for more ideas in our list of top 10 things to do in Manila.